‍Sweat the Onion in the Oil and remove from the heat. Mix the rest of the Stuffing Ingredients with the Onions. Stuff the Eggplants halfway through and squeeze the stuffing to feel the vegetable almost to the top. 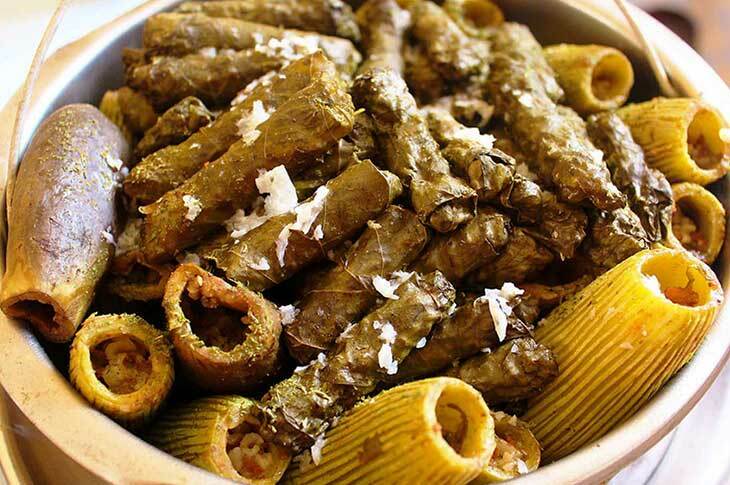 Use the remaining stuffing to stuff Grape Leaves; roll the leaves tucking the sides in. Arrange the Grape Leaves in the middle of the cooker; then arrange the rest of the vegetables facing up around the grape leaves. Pour on top the juices from the stuffing bowl and the water. Close the pressure cooker and cook until the cooker whistles. Open the Pressure cooker, and add the Garlic, the Lemon Juice and Dry Mint Flakes on top. Cook on low heat for about 20 mins. In our household Dolma and Sarma are always accompanied by hummus and ayran. Sometimes, we only prepare Sarma and serve it with plain yogurt. You can collect the sauce from the bottom of the pressure cooker and reduce it a bit to serve with the stuffed vegetables. 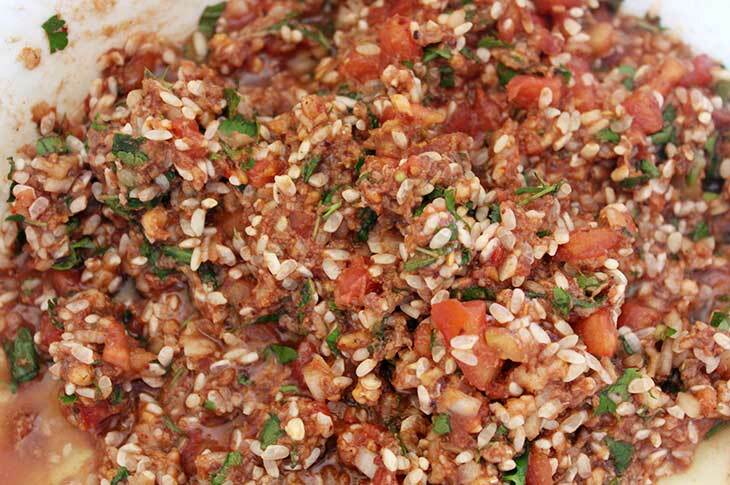 This sauce lightens the stuffing especially if the stuffing is dry. The stuffing can be dry if the tomatoes aren’t too juicy; also if the vegetables are tightly stuffed.